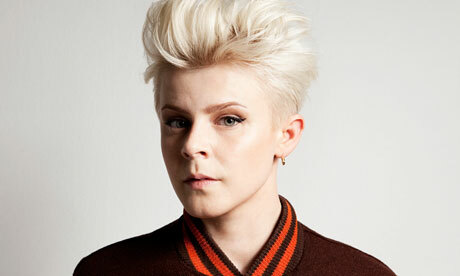 I have a theory that Miley Cyrus is copying Robyn. Today, I am sharing evidence of this. I am not the first person to have this thought obviously. I hate to admit to this, but Miley had lovely hair before 2012. She had nice, all-American locks. The kind that did her well in a Nicholas Sparks movie. I think Miley probably admires Robyn's transition to an adult star and hopes to emulate it, but Robyn is a queen. Miley seems to be having...some weird growing pains. Billy Ray, what did you do! Also, am I the only one to recognize simalarities between call your girlfriend and wrecking ball? I haven't heard "Wrecking Ball" - I'm doing my best to avoid it!